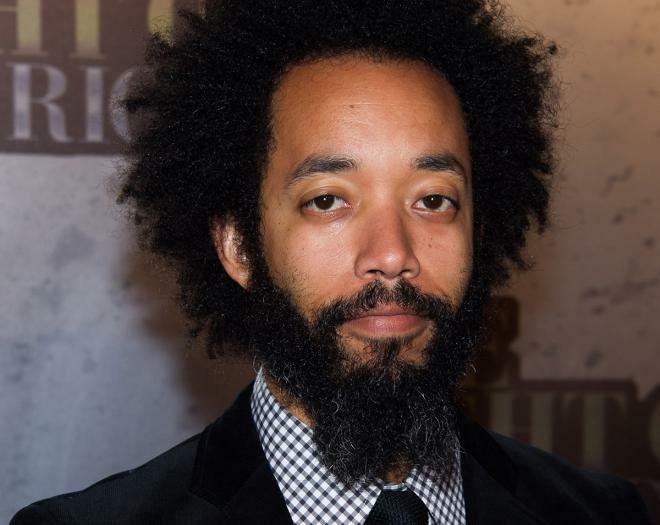 Wyatt Cenac (/?wa?. ?t s? ?næk/; born April 19, 1976) is an American stand-up comedian, actor, and writer. He is a former correspondent and writer on The Daily Show with Jon Stewart, airing his last segment on December 13, 2012. 1 Had a strained professional relationship with Jon Stewart after Stewart's impersonation of presidential candidate Herman Cain on an episode of the Daily Show. Wyatt took offense to it, claiming it sounded like the character "Kingfish" from the Amos N' Andy Show, and when he confronted Stewart with his objection to the impression, Stewart became upset and stormed out of the room after berating Cenac. This led to Cenac leaving the show, but they appeared to patch things up in time for Stewart's last show as host of the Daily Show, in which Cenac made a cameo appearance. 2 Wyatt Cenac was cast in the movie Medicine for Melancholy (2008) after the director, Barry Jenkins, watched him on YouTube, then tracked him down on Myspace. 3 In 2009, Wyatt Cenac was a guest writer for Marvel comics. 4 Wyatt has tattoos on both arms. 5 Colin Quinn was a huge influence on his career. Wyatt Cenac left college for a year when he was 19 to intern at Saturday Night Live (1975). While Cenac was interning, Quinn took him under his wing and encouraged him to start comedy writing. 6 Auditioned to play Barack Obama on Saturday Night Live (1975) but lost to Fred Armisen. Untitled Kanye West HBO Project 2008 TV Movie K.C. Medicine for Melancholy 2008 performer: "Won't You Be My Neighbor?" 2016 Grammy Grammy Awards Best Comedy Album For the album "Brooklyn."